It’s not often that you see international cricketers turning out in matches on back-to-back days, let alone turning up to play less than 12 hours after a game. That’s what Sri Lanka’s ODI skipper Lasith Malinga did — merely 12 hours after picking up 3/34 for Mumbai Indians, the paceman flew down to Sri Lanka and travelled all way the to Pallekelle to lead Team Galle to victory by picking up 7/49. The 35-year-old flew down from Mumbai to Colombo and then drove 126km to Pallekelle, which takes a little over four hours, to make it in time to lead the side. The opening day of the SL’s Super Provincial One-Day Tournament got underway in Pallekelle and Dambulla simultaneously on Thursday morning. Team Galle hammered Team Kandy by 156 runs after posting 255. 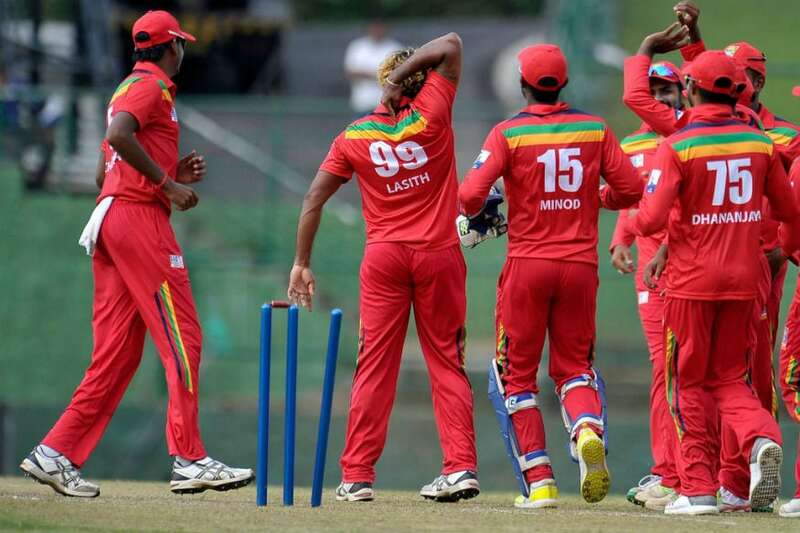 Malinga picked up seven scalps including opener Sadeera Samarawickrama and all-rounder Sachitra Senanayake in 9.5 overs. “That speaks of Lasith Malinga. Honestly that is not a surprise for me. When Lasith commits to something he gives his 110 per cent, he doesn’t do anything half-heartedly. He showed it to the whole world today, he played for MI last night and flew back to play here. "That’s because he wants to be part of the World Cup squad and knows Provincial tournament is important for the World Cup,” Sri Lanka Cricket’s (SLC) Chief Operations Officer Asanka Gurusinha told CricketNext on Thursday. Gurusinha, who was one of the key members of the 1996 World Cup-winning squad, feels Malinga’s commitment to Sri Lankan cricket will be hard to ignore and selectors will find it hard to find anyone beyond him to lead the World Cup-bound squad. “There are so many things being said in the media, but he is still the ODI captain and selectors will definitely consider him strongly to continue in that position. If they do want to change then change with who? "There are not too many options to replace him. The person who is going to lead should be able to hold his place in the team. Selectors will look at all those things in the next seven days,” Gurusinha, who is also SLC’s High Performance Director, said. There was plenty of controversy regarding Malinga’s participation in IPL-12 due to its clash with the domestic 50-over tournament with MI coach and former Sri Lanka captain Mahela Jayawardene claiming the tournament was not part of the calendar when Malinga’s availability was enquired. “The Provincial 50-over tournament was part of our calendar but we were still undecided when we should play it. "Then the new cricket board was elected and they decided that we should hold it before going for the World Cup. We still have a month before they leave, they don’t have to select all 15 from this tournament. There might be 2-3 players the selectors want to check. “This is a good opportunity for that because this is a very competitive tournament. All the international players are playing and performances will be looked at for selection,” the 52-year-old former Sri Lanka middle-order batsman said. New Zealand have been the first team to announce their 2019 World Cup on Wednesday but Gurusinha believes Sri Lanka’s squad will be announced closer to the deadline around April 23. “I think selection of the squad will be closer to the deadline. The head coach (Chandika Hathurusingha) is returning from Australia on the 16th of April. I believe selection meeting will be held somewhere around that time. "They have to get it approved by the Ministry of Sports, so it takes some time to announce it. It’s important for the players to let them know if they are selected or not,” he said. A week after the final of the 50-over tournament on April 11, the World Cup-bound team will be coming together for week-long camp in Dambulla beginning April 22. “After the South Africa series, some players had been out of the country for close to four months. So we gave them a complete break and today is the first time they have got back together. The mental side is very important. Even after this tournament they will have 10 days off before they start a camp. "We are planning to reach England by about the 10th of May and a couple of games against Scotland are also scheduled. By the time we play our first World Cup game, we will be in England for about three weeks to acclimatize,” Gurusinha informed. Sri Lanka will play their first game of 2019 World Cup against New Zealand on June 1st in Cardiff.